We are back with another way with which our users can stay updates with all Latest loots. This time its one of the best way after our Mobile app. Get Instant Push Notifications of all our Blog Posts directly in your Chrome Browser for Desktop and as well as Mobiles. Push Notification issue are now fixed. Links are working fine now. Wait for a while you will see a Dialog box asking for your Permission to receive updates from us. Click on Allow button and Its Done!! You are now ready to receive real-time A2Y Updates. Example of A2Y Push Notification! Example of A2Y Welcome Push Message! Keeps you updates with all new loots. Be a Privileged user of A2Y! Saves your Time and Data. Ques – What are Push Notifications ? Ans – Push notifications are small popup type dialog box which allow users to opt-in to timely updates from sites they love and allow you to effectively re-engage them with customized, engaging content. 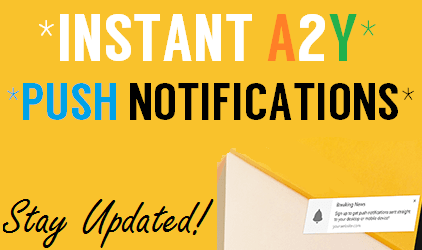 Ques – What are the benefits of A2Y Push Notifications ? Ans – Well, Its not at all possible that everytime a user visit us to check latest updates but we made it easier. 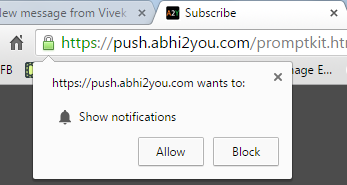 Whenever we post anything on our site you will be notified instantly through a Push message. 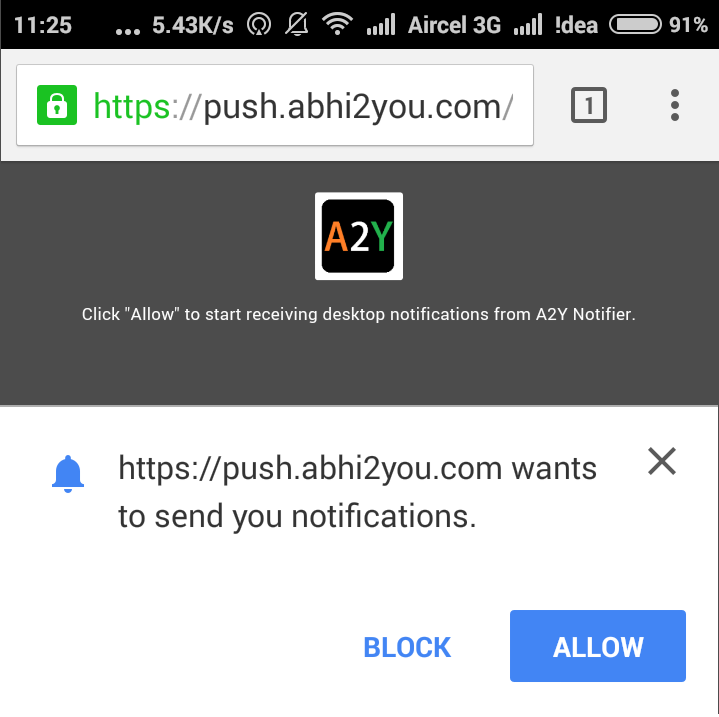 Ques – How can I Subscribe to A2Y Push Notifications ? Ans – As Already discussed above, all Basic steps are provided with possible screenshots. Invest your 1 minute to subscribe and its forever!! Ques – Is this Service is Free? Ans – Ofcourse, Its totally free of cost. We are not charging a single penny for it. Just Stay tuned with us. Ques – Is it Secure to Subscribe ? Ans – Good Question, While you subscribe we don’t even ask you for a single detail also. Its just between your Chrome browser and our System. You will only be messeged whenever we post something – No Spamming (We can assure you). Ques – How to Unsubscribe ? 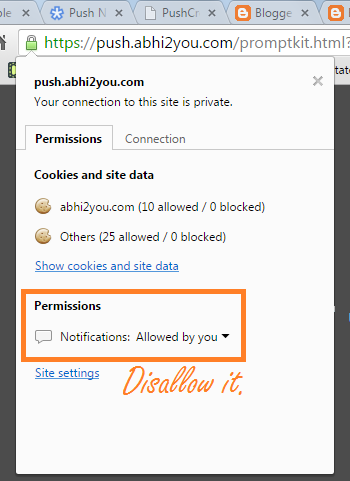 Ans – Its Your Choice, If you are not satisfied with our Push Notifications then you can simply disallow your Chrome browser to receive updates from us. To Unsubscribe visit this link > Click on Page Information Icon > In Notifications Section > Select “Always Block on this site” Option. Now you won’t ever receive our Updates.